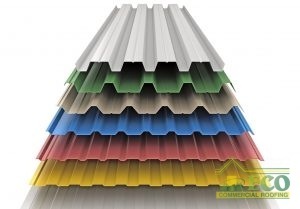 Corrugated Metal Roofing Comes With Many Benefits. Generally, corrugated metal roofs have been connected with old warehouses and other types of industrial buildings since the 1800s. Nonetheless, technology has improved, and corrugated metal roofing has too. Corrugated metal roof installation in Texas, Louisiana, and Mississippi, is a now something that you’re able to consider for your home! Although this material has the capability to be used for residential buildings, there are still some that are best used for commercial properties. Out of the many types of corrugated metal roofs you can select from, we’ll discuss U panel roofing and R panel roofing, two of the most commonly used. If you are interested in learning more, or seeking a quote, give us a call at (833) 200-0571! There Is Plenty Of Variety To Choose From! U panel roofing only comes with 26 gauge panels, but traditional metal roofs have three more. These panels are more pleasing to the eye, which makes them highly favored when it comes to houses. And because you’re able to apply them directly over the existing roof, installation is a snap. Bring the complete look of your property together by picking one of the many colors that corrugated metal roofs are available in. On the other side, R panels are noted more for their high durability and low maintenance. R panels can be installed atop your shingles and can have a life expectancy of about 50 years. Due to the more rugged appearance, R panels are more often selected for commercial structures, but some modern homes look particularly stylish with an R panel roof. Despite what type of metal roofing you decide to get, you’ll always be able to have its benefits, such as energy efficiency and low maintenance requirements. But keep in mind, metal roofs come with a particular look and feel in contrast to the conventional roofing materials. ECO Commercial Roofing has the abilities and knowledge to provide you with all the details about metal roofing systems. If you would like to get more information or ask for corrugated metal roof installation in Tyler, TX, please call us at (833) 200-0571. No matter what kind of metal roof you have, you can also count on us for quality metal roof restorations!